I've written before about my favorite thing to do when I worked at the Hall of Fame library: helping fans find the box score of the first major league game they remembered attending. Most such requests came with several details--score, date, teams, stars--that would be close but not necessarily correct. So each request became a search, a puzzle to be solved through semi-clues. Thanks to retrosheet.org, I was almost always able to find that baseball grail. Of the dozens of box score requests I fielded, one stood out for the highest percentage of correctly remembered details. It was all the remarkable because the game occurred a ridiculously long time before its details were recounted to me. It crossed my mind at the time that this fellow must be quite sharp. I hadn't heard of him until our phone conversation in March 2007. That thought occurred to me again a few weeks again when the gentleman died. He was indeed quite a sharp fellow. He was George Avakian, the man who put Columbia Records on the map starting in the 1940s. He introduced Miles Davis, Dave Brubeck, and a generation of jazz greats to the world and preserved the work of many earlier musicians. He did much more than that (he discovered Bob Newhart, for instance). This giant of the recording industry was honored often, including by the National Endowment for the Arts in 2010, 70 years after he went to work at Columbia. George Avakian was 98 years old when he died. Born in Russian in 1919 of Armenian parents who moved shortly thereafter to New York City, he didn't see baseball played until he was ten. This he detailed to me in an e-mail written on March 30, 2007, two weeks after he turned 88. He had called the Hall of Fame with his query, and I had the pleasure of handling it. Over the next month, we talked several times and exchanged a flurry of e-mails, some of which I copied and saved. Avakian initially asked me about two games he remembered, both played at Yankee Stadium. In one, which he didn't attend but which he saw heralded in a newspaper headline, Babe Ruth hit two home runs (that didn't narrow it down much!). In the other, which he remembered much more vividly as his first ballpark memory, Willie Kamm of the White Sox hit a ninth-inning home run off Waite Hoyt but the Yankees won, 5-3. He described the home run, its trajectory, the reaction of the fielder, and numerous other details of the game. Kamm hit just 29 home runs in his career, so it wasn't tough to track down the date. Every detail he told me was right on the money except one. He thought it happened in 1929, but in fact it was 1930. He was 100% correct in small details of a game played nearly 77 years earlier! No wonder he was able to write to me with amusement about being introduced thusly at an international conference: "If anyone asks you for a definition of a 'pop standard,' tell them they're the songs George Avakian remembered in high school." 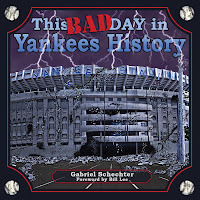 They illustrate the process of reconciling baseball memories with actual events. It's a tricky business when a long-held memory turns out to be flawed simply because we've seen so many games in our lives that isolated events merge in memory. One of the best things about the process is all the side-trails explored along the way. They show why this kind of question was my favorite thing to tackle at the Hall of Fame. I relished making connections with people through baseball. Through these e-mails, you'll learn about Avakian and what it was like for him to discover baseball in New York City in the 1920s. They demonstrate that George Avakian was indeed quite a fellow. Think about the effort he put into this puzzle and exchange at age 88 regarding what he called a hobby, and you can picture why he was such a moving force in his prime, in his own field, for so long. I should have sent this to you yesterday, but I wanted to finish coordinating my two earliest baseball memories with the information you so kindly looked up for me. Ruth's "May 3 homer" (which now merits either quotation marks around it or an Avakian asterisk) was never as clear in my mind's eye as Kamm's, so I am now certain that as time passed my memory of seeing Ruth and then reading about his actual homer on May 4, compressed both into the 5-3 game [on May 3]. About the two Ruth homers in one game, this is how I have finally decided that it must have happened on June 22, 1927, despite the fact that in our conversations I said that my summer vacations began around the first week of June, which does not fit in with walking home from school--but I had forgotten that I had changed schools in September 1929. When I checked the four dates you gave me against a perpetual calendar, I ruled out June 10, 1928 (it was a Sunday) and June 23, 1928 (Saturday). The memory of the headline and passing a newsstand with two classmates was as clear as Kamm's homer, so it had to be on a school day. June 22, 1927 was a Wednesday, and although September 28, 1925 was a Monday, so both were possibilities. 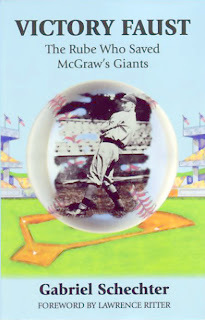 I ruled out the latter--it was only when I reviewed the chronology of when I learned enough about baseball to start remembering specific games (even though I had not seen any yet), I realized that 1925 was too early (age 6), and it had to be June 22, 1927. The 23rd and 24th homers also fit in with my recollection of the headline. I don't recall when I learned what the game itself was like; certainly I did not even see kids playing while we lived at 129 East 76th Street, and the first time I remember anything about the nature of the game was when we had moved to Washington Heights (summer of 1929, age 10). This also meant that unlike the cheek-to-jowl geography of downtown, I could play in an empty lot behind our apartment building, where my mother could call to me from the sixth floor window that dinner would be on in ten minutes. That was the year my father bought me my first glove (an oversized puffy pillow which did not separate the pinky and the finger next to it). And so my next very clear memory was what I believe is the first time that regular-season games were broadcast in New York: a series between the Cubs and the Dodgers at Ebbets Field. The games were broadcast because in late August 1929 the Cubs were in a pennant race with the Giants and the Cardinals. In the two invening years I had learned enough about the game so that I could envision the action as I listened. Of course, like so many of your phone and email contacts, I could go on and on, but as Frenchy Bordegaray possibly said to the waitress who brought him two eggs for breakfast, "Un oeuf is enough." I had mailed him the box score and a New York Times account of the Kamm game. The description of Kamm's home run matched Avakian's mental image. 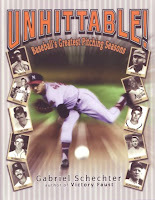 In response to his comment about Grove, I sent him a chapter from my book Unhittable! about Grove's 1931 season, when he could have gone unbeaten with just a few small alterations in his karma. Avakian's response: "I am saddened to learn that he could have gone unbeaten." Our discussion moved on to other mysteries. This morning's NY Times has a front page story on Pat Venditte, a pitcher at Creighton College, who pitches effectively both right- and left-handed. It is a fascinating story, but I think it errs in stating that "the major leagues have had only one [switch-pitcher] since the 19th century: Greg Harris, primarily a right-handed reliever for many clubs from 1981 through 1995, pitched one inning using both arms for the Montreal Expos in his final season. That outing was considered more stunt than strategy." But I am sure that I remember an American League pitcher who pitched effectively a few times from both sides in the late thirties. Could it have been Mike Ryba? I seem to recall that Ryba, who like Ruffing and Wes Ferrell occasionally pinch-hit, once played all nine positions in a game. . . .Jimmie Foxx did the same, and somebody else did it again about 15 years ago. . . In 1937, my senior year at the high school (Horace Mann School for Boys, right here in Riverdale), we had an unbeaten baseball season. Johnny Metz was both a left-handed pitcher and occasional catcher. In my freshman year, we lost a game to Peddie, whose pitcher hit two doubles and a home run. His middle name was Washington, which he did not use when he went on to play the outfield for the Senators. (You guessed it--George Case.) He was the second pre-major leaguer I saw play in high school--the first was Hank Greenberg, shortstop for James Madison vs. George Washington (four blocks from our apartment in Washington Heights). Both, especially Greenberg, towered over everybody else on the field. Greenberg played without a cap--now there's one the Hall of Fame never knew about, I'll bet! End of Memory Lane for today. One thing I have learned in our recent exchanges is that my memories are not always as accurate as I have believed them to be. I see now that something I once read about Mike Ryba (playing all positions in the minors) got interpolated in my head as a report of a major league feat. But where did I get the idea about his being ambidextrous? Similarly, the Jimmie Foxx bit puzzles me. I can still see a newspaper report in my mind's eye, with a box score that had an asterisk next to his name. Thank goodness I have you to clear up my memory! After we discussed Lefty Grove, I tried to find the uniform numbers of the 1929 Athletics, but apparently they did not wear numbers until 1931, at which time they used scorecard designations (omitting 1, but using 2 for Cochrane through 9 for Bing Miller). I have always been intrigued by players' numbers. The NY Giants upset me when they changed to a system of single digits for catchers (Ray Noble, 5), teens for infielder (Hank Thompson, 16), twenties for outfielders (Bobby Thomson, 23) and over thirties for pitchers. Speaking of traditional number blocks for positions, I saw Ray Scarborough pitch for Washington at the Stadium in a late season game--possible the last day of one season--wearing 7, instead of his usual 10. Did many other pitchers wear a single digit in a game? Don't worry about imprecise memories. When you think about how many games you've seen, the remarkable thing is that you remember so much. The AL required all teams to wear numbers on their ROAD uniforms starting in 1931. The Athletics were the last team to add numbers to their home uniforms, not doing so until 1937. The original numbers were determined by batting order (back then, as you know, teams rarely platooned, and the regular lineup was pretty regular). That's why Ruth wore #3, Gehrig #4, and so on. The number system you describe for the Giants the norm at least in the NL in the 1950s and was still used at least through the 1960s. I grew up as a Reds fan, with outfielders Frank Robinson (#20) and Vada Pinson (#28), infielder Pete Rose (#14), and pitchers starting in the 30s. I haven't been able to find out whether this was a league rule at some point; I think it must have been, if all teams went to such a system. It wasn't changed until the 1970s, when players began having some say in their numbers. As for Ray Scarborough, our book on uniform numbers doesn't list him wearing #7. . .Scarborough wore #10 for the Senators during 1948-49, and on September 10, 1949, he beat Vic Raschi at the Stadium, 4-3, in the first game of a doubleheader. Maybe that's the game you saw. No, it is very rare for a pitcher to wear a single-digit number. I do wish I had kept in touch with George Avakian, but I treasure the correspondence I saved and I vividly recall the youthful enthusiasm in his voice when we discussed baseball memories. That's what baseball does best--take any combination and origins, generations, and affinities, and a connection can always be found through baseball. You get a pretty good picture of George Avakian just from a handful of e-mails about events from his childhood, memories of youth still cherished by a man hurtling happily toward one hundred.